In this post we explore the standards that govern motions to dismiss a federal court complaint for failure to state a claim pursuant to Fed. R. Civ. P. 12(b)(6). Particular emphasis is placed on decisions issued by the United States Supreme Court, and the U.S. Court of Appeals for the Third Circuit which includes the United States District Court for the District of New Jersey. Rule 12(b)(6) provides that a motion to dismiss a complaint may be filed for “failure to state a claim upon which relief can be granted.” Id. “The purpose of the rule is to allow the court to eliminate actions that are fatally flawed in their legal premise and destined to fail, and thus spare the litigants the burdens of unnecessary pretrial and trial activity.” Advanced Cardiovascular Sys., Inc. v. SciMed Life Sys., 988 F.2d 1157, 1160 (Fed. Cir. 1993), reh’g en ban denied. Particular circumstances may justify the filing of a motion to dismiss a plaintiff’s complaint for failure to state a claim under Rule 12(b)(6). Typically, this motion is filed at the beginning of the case and in lieu of filing an answer to the complaint, and can be a good strategical move to get the judge involved early on. Filing a motion to dismiss should not be an automatic response to a sloppily drafted complaint, however. Yet, the potential upside of filing a Rule 12(b)(6) motion – dismissal – is very appealing. The court may dismiss several causes of action and maybe even the entire case. Since a plaintiff can ask the court’s permission to amend a complaint when faced with a Rule 12(b)(6) motion, a defendant has to determine if there is a likelihood of succeeding on the motion before incurring the time and expense of going for the jugular early in the case. Also, researching published and unpublished decisions of the judge assigned to your case is appropriate before deciding whether to file a motion to dismiss. 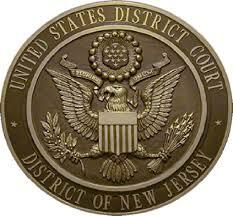 Assuming a defendant and its attorney have weighed the pros and cons and have determined to proceed with a motion to dismiss under Rule 12(b)(6), let’s review the standards that the United States District Court for the District of New Jersey is bound to apply in civil cases. To survive a Rule 12(b) motion to dismiss, the complaint must assert a plausible claim, and set forth sufficient factual allegations to support the claim. Ascroft v. Iqbal, 556 U.S. 662, 129 S.Ct. 1937, 1949-1950, 173 L.Ed.2d 868 (2009)(citing Bell Atlantic Corp. v. Twombly, 550 U.S. 554, 127 S.Ct. 1955, 167 L.Ed.2d 929 (2007)). Pleadings are no longer satisfied by “an unadorned the-defendant-unlawfully-harmed me accusation.” Iqbal, 129 S.Ct. at 1949 (citing Twombly, 550 U.S. at 555). Now, neither a “formulaic recitation of the elements of a cause of action” nor “naked assertions [of fact] devoid of further factual enhancement” is sufficient to withstand dismissal. Id. To satisfy the standard under Twombly and Iqbal, “a complaint must contain sufficient factual matter, accepted as true, to ‘state a claim to relief that is plausible on its face. '” Id. (citing Twombly, 550 U.S. at 570). A claim has facial plausibility when the plaintiff pleads enough factual content that allows the court to draw the reasonable inference that the defendant is liable under the alleged claim. Id. (citing Twombly, 550 U.S. at 556). “A court considering a motion to dismiss can choose to begin by identifying pleadings that, because they are no more than conclusions, are not entitled to the assumption of truth.” Id. at 1950. Therefore, if allegations are merely “conclusory,” they are “not entitled to be assumed true.” Id. Even if a court decides that the factual allegations are entitled to an assumption of truth, however, the facts must also “plausibly suggest an entitlement to relief.” Id. at 1951. While a court confronted with a Rule 12(b)(6) motion must accept the truth of all factual allegations in the complaint and must draw all reasonable inferences in favor of the non-movant, Gross v. German Found Indus. Initiative, 549 F.3d 605, 610 (3d Cir. 2008), legal conclusions receive no such deference, and the court is “not bound to accept as true a legal conclusion couched as a factual allegation.” Papasan v. Allain, 478 U.S. 265, 286 (1886)(cited with approval in Twombly, 550 U.S. at 555 (citations omitted)). Although a plaintiff may use legal conclusions to provide the structure for the complaint, the pleading’s factual content must independently “permit the court to infer more than the mere possibility of misconduct.” Iqbal, 129 S.Ct. at 1950. In short, when the well pleaded complaint does not permit the court “to infer more than the mere possibility of misconduct,” the pleader is not entitled to relief. Fowler v. UPMC Shadyside, 578 F.3d 203, 2011 (3d Cir. 2009)(quoting Iqbal, 129 S.Ct. at 1949). A Rule 12(b)(6) motion may be based on the res judicata (also known as the doctrine of claim preclusion that bars re-litigating claims previously decided in an earlier action) if the defense is apparent on the face of the complaint. Brody v. Hankin, 299 F.Supp.2d 454, 458 (E.D.Pa. 2004)(citing Rycoline Prod’s v. C & W Unlimited, 109 F.3d 883, 886 (3d Cir. 1997)); accord Bethel v. Jendoco Const. Corp., 570 F.2d. 1168, 1174 n. 10 (3d Cir. 1978). The same rule applies when the motion is premised on a statute of limitations defense. Rycoline Prod’s, 109 F.3d at 886. In evaluating a Rule 12(b)(6) motion to dismiss for failure to state a claim, a court may only consider the complaint, exhibits attached to the complaint, matters of public record, and undisputably authentic documents if the complainant’s claims are based upon those documents. See PBGC v. White Consolidated Industries, Inc., 998 F.2d 1192, 1196 (3d Cir. 1993); see also In re Burlington Coat Factory Sec. Lit, 114 F.3d 1410, 1426 (3d Cir. 1997)(a document forms the basis of a claim when it is “integral to or explicitly relied upon in the complaint” and such a document “may be considered without converting the motion to dismiss into one for summary judgment.”). Subject to the above exceptions, if “matters outside the pleadings are presented to and not excluded by the court, the motion must be treated as one for summary judgment under Rule 56.” Fed. R. Civ. P. 12(d). When a district court decides to convert a motion to dismiss into a motion for summary judgment, it must provide the parties “reasonable opportunity” to present all material relevant to a summary judgment motion. Fed. R. Civ. P. 12(b). The parties can take advantage of this opportunity only if they have “notice of the conversion.” Rose v. Bartle, 871 F.2d 331, 340 (3d Cir. 1989). The notice must be “unambiguous” and must “fairly apprise[ ]” the parties that the court intends to convert the motion. Id. at 341-42. This post is provided for informational purposes only, and should not be construed as providing legal advice. Nor should this post be considered an exhaustive review of the subject matter. Need assistance with a civil case in the United States District Court for the District of New Jersey, contact our New Jersey law firm today to speak with an experienced federal court litigator.